Frankenstein; or, The Modern Prometheus, is a novel written by English author Mary Shelley about eccentric scientist Victor Frankenstein, who creates a grotesque creature in an unorthodox scientific experiment. Shelley started writing the story when she was eighteen, and the novel was published when she was twenty. The first edition was published anonymously in London in 1818. Shelley's name appears on the second edition, published in France in 1823. Frankenstein is infused with elements of the Gothic novel and the Romantic movement and is also considered to be one of the earliest examples of science fiction. Brian Aldiss has argued that it should be considered the first true science fiction story, because unlike in previous stories with fantastical elements resembling those of later science fiction, the central character "makes a deliberate decision" and "turns to modern experiments in the laboratory" to achieve fantastic results. It has had a considerable influence across literature and popular culture and spawned a complete genre of horror stories, films, and plays. 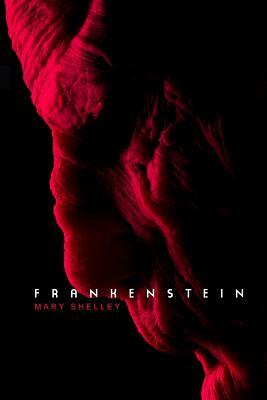 English writer Mary Shelley is best known for her horror novel Frankenstein, or the Modern Prometheus (1818). She was married to poet Percy Bysshe Shelley. Mary Shelley was born on August 30, 1797, in London, England. She married poet Percy Bysshe Shelley in 1816. Two years later, she published her most famous novel, Frankenstein. She wrote several other books, including Valperga (1823), The Last Man (1826), the autobiographical Lodore (1835) and the posthumously published Mathilde. Shelley died of brain cancer on February 1, 1851, in London, England.